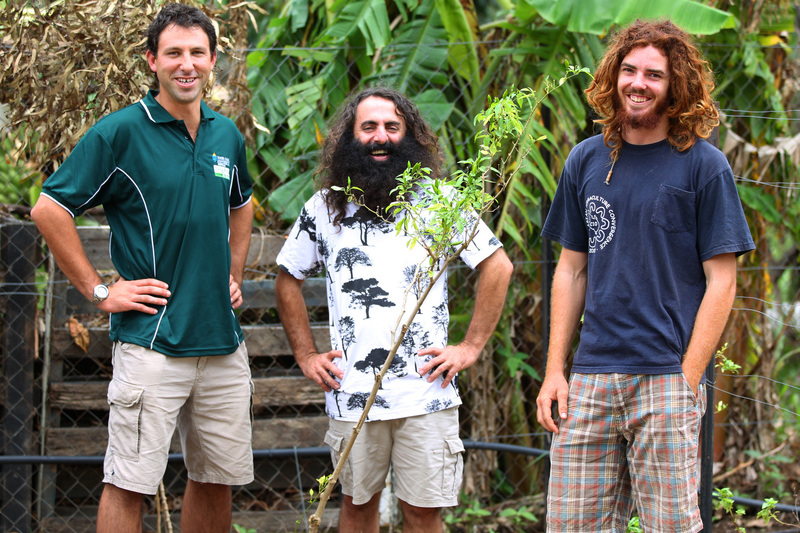 It’s been almost a week since Costa came to visit us here in Townsville, and we’re still reeling from the vibrancy he temporarily instilled in this small city. Things went… mostly to plan. After a brief introduction of the TropEco initiative by Adam Connell, Environment Manager at JCU, Costa was invited to the floor to present his public lecture. 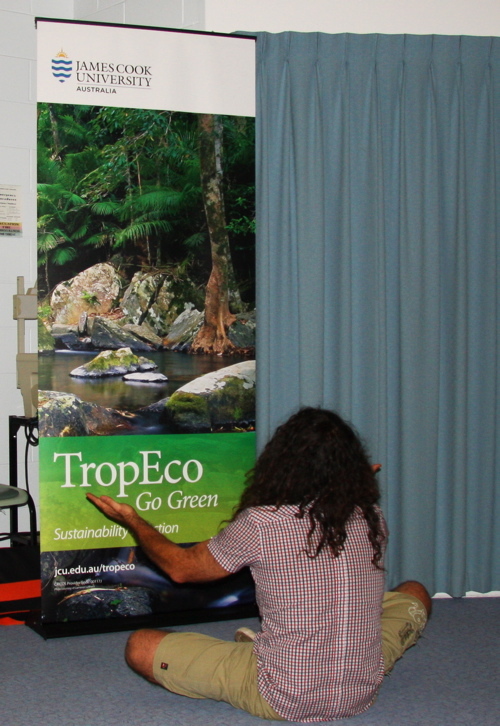 Over the course of an hour or so, he covered his personal background and went on to describe the importance of an initiative such as TropEco (more details can be found here: http://www.jcu.edu.au/tropeco/), which provided a link to talk generally on the broader picture of sustainability. Costa’s unrivaled exuberance gave rise to a truly entertaining presentation of how we can and need to make positive changes in our personal and professional lives. Well received by the entire audience, which included some prominent figures in the JCU Administration and Research sectors, other staff, students and general community members as well. All in all; turning out really, REALLY spontaneously positive, engaging and inspirational! AND THEN, there was the FOOD FOR THOUGHT gathering!! Held at the recently opened Organigallery, a wonderful collaboration between Jamie Thompson and Sarah Funkhouser, that brings together the locally produced necessities of FOOD and ART. The Food For Thought group was invited to have their gathering at this venue but only the early birds could catch the worm… as space was limited. So we do apologize for having to reject RSVP’s but the event would not have been successful if it was overcrowded. The way everything turned out, meant that Costa had a more personal experience of some of the Food For Thought members and the type of event we create every month. Which had the bonus of letting Costa loose for another talk, this time with more passionate messages on widely related issues that could be freely expressed. After his hour-and-a-half rant, socializing and feasting continued, attendees started to trickle out and after another hour, just a few people were left drinking wine and chatting with Costa; which was when we all decided to call it a night. I’d like to express gratitude and deep appreciation to Costa for coming to Townsville to help us with our respective missions and setting off a blazing motivation within each and every one of us! Thanks mate and we’re certainly looking forward to your next visit!